It is completely possible to earn money online without investment. How is it possible to make money online without paying anything? Well, it is possible to make money online without paying anything but a small investment can go a long way! Making money online is the dream for everyone that wants to work at home. It is totally possible to earn money online without investing a lot of money – this is one of the many advantages of online businesses! Learning how to make money online without paying anything is quite tricky but we will show you some ways to do it in this article. We will cover ways to make money online with no investment required. We will discuss some ways to earn money online without investment for students, unemployed people, stay-at-home-moms and anyone else looking to make some extra money. 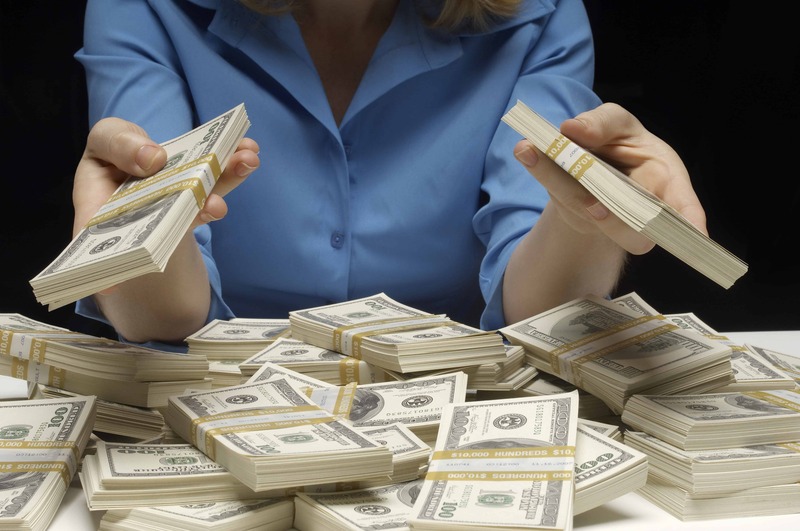 Some of these ways to earn money will require a very small investment – less than $100. Some ideas you can do successfully with no investment required, but if you invest a little bit of money you will see much bigger results. But most of our ideas to earn money online will be perfectly feasible without any investment! 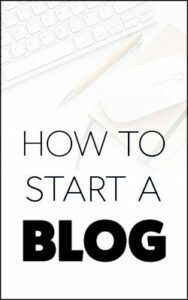 One of the best ways that we have found to make money online with no investment is to start a freelancing business. Freelancing online requires no equipment (other than your laptop!). This is quite different to most freelancing businesses in the ‘real’ world. Here are a few of the best freelance businesses to start online that require no investment. Check out how this millionaire proofreader made a full-time living working part-time as a freelance proofreader! Freelance proofreading is one of the coolest ways to earn money online without paying anything upfront. If you enjoy reading and correcting the written word, freelance proofreading might be your idea business. Most proofreaders can earn $20+ per hour and some jobs will pay up to about $100 per hour. You do need to have some intrinsic qualities to become a successful proofreader. You need to to have an ‘eagle eye’ with a high level of attention to detail. Freelance proofreading is not a get rich quick scheme, it takes a ton of hard work and dedication. The potential rewards of freelance proofreading are fantastic. You can work from anywhere in the world and spend time with your loved ones. The only real downside is that it is not a very passive source of income. Here are a couple of articles about women that have made a living with freelance proofreading. They were able to make money online without any investment. Some of them did take this free online masterclass by Caitlin Pyle to learn the basics of starting a freelance proofreading business. 1. Stephanie’s freelance proofreading story. 2. Elizabeth’s freelance proofreading story. One of the best ways to make money online without paying anything is to complete paid surveys. Paid surveys are popular because you can just wake up and with a few clicks make some money online. You can make money while listening to your favorite TV show or podcast. Sure, it can be a bit boring and you will never make a fortune with paid surveys. But they are a great way to earn money online with investment for students or anyone that needs to earn some extra cash. I wish I had known about these surveys when I was a student! I would not have had to work a part-time job. Making money from bed is very exciting and I highly recommend it. Basically, you fill out surveys that question you about your purchasing habits. They are used by large companies to try and find out how they can improve a product or to see if there might be a market for a new product. They are happy to pay you for your input! We have tested many paid surveys over the years and the ones we recommend below are the best that we have found. If you are new to paid survey sites – be careful of scams. Many sites are setup just to collect your email address to sell to marketing companies. We love the survey sites listed below because they offer easy to use platforms and you can actually make money completing them. They are legitimate sites that actually pay out. This paid survey site is the best that we have come across. We even wrote a full Survey Junkie review where we tested it and made some money with it. You can make a few dollars an hour by completing quick surveys. It is very easy and the surveys are fast and don’t waste your time. The user interface is simple to understand and navigate. You get plenty of surveys to complete. We highly recommend it. If you have read any blog posts about how to make money online, you will most likely have come across the super popular site called Swagbucks. You can try it here for free (make sure to confirm your email). The company has been around for about 10 years and they claim to have paid our hundreds of millions of dollars! You can make money completing surveys on the site but it also offers many other ways to make some extra money. They also give out thousands of free gift cards every day. You can get paid for completing paid surveys, playing games and even for searching the internet with Swagbucks! We highly recommend signing up and giving it a try. You will not be disappointed! We have given you three different ways to make money online with no investment required to get started. There are so many more, way too many to cover in this article! But here are a few more of my favorite ways to make money online without paying anything to get started. If you have ever considered teaching English as a second language to people abroad, VIPKID might be your dream come true! You don’t need to travel to other countries to teach English these days. You can do it all from the comfort of your own home via the internet. 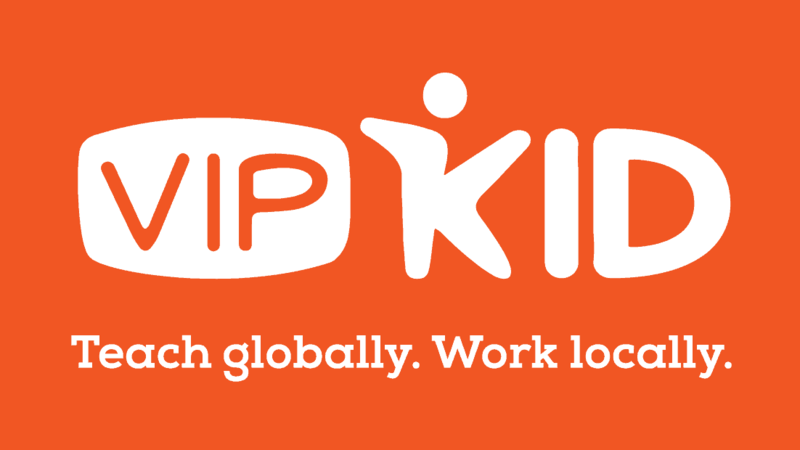 Even if you are just looking for a job that pays well and will give you the freedom that a regular job can’t, you should consider working with VIPKID. VIPKID is widely regarded as the best online platform for teaching English to Chinese students. Forbes magazine voted them as one of the best work from home companies in the world. They are growing rapidly so many new tutoring jobs have become available. The company is based in Beijing but they are a pleasure to work with. My friend worked for them and he loved the experienced! VIPKID needs thousands of work-from-home teacher’s to teach English online to kids in China. This is an amazing work-from-home opportunity – and don’t worry, users do not need to know any foreign language or have formal teaching experience. Teachers can earn as much as $22/hour working on the VIPKID platform. Many people make a couple of thousand dollars per month working less than 20 hours per week as a teacher with VIPKID! You can get the satisfaction of teaching (you don’t need a teaching degree!) and get paid for doing it in your own home. You can choose how many 30 minute lesson slots that you want to do every week, so the flexibility is excellent. If you think that you are interested in teaching with VIPKID or read more about the system, then apply here and get started teaching English as a second language online! Here are a few ways to earn money online with investment for students, anyone can use these ideas but students are always looking for more money! Did you know that you can get paid to test websites to make sure that they are user friendly? Pretty cool right? User testing websites has sprung up as an easy way to make some quick money online with no investment needed. The concept is pretty simple – you navigate to a website and video record your screen (using software that the company provides). You are asked to find simple things on the website that users might want to find. An example would be ‘navigate to the page that gives the store hours to the visitor’. You speak aloud your thoughts as you navigate to the page required. Both your voice and screen are recorded so that the customer can learn exactly how easy or difficult it was for you to find the information. The pay is pretty good for a relatively simple task. Typically you can make about $40 per hour! The problem is trying to get enough work. It really helps to sign up for as many website testing sites as possible to ensure you can get enough work. Here is an article with a few of the best website testing sites out there. Another way to earn money online without investment for students is by becoming a virtual assistant. A virtual assistant is a person that provides services for a business remotely – usually online. Virtual assistants often help online entrepreneurs like us! We have hired them in the past to handle things like email management and writing tasks. We don’t want to pay for an office etc. so hiring a virtual assistant is perfect! Virtual assistants can usually perform many different tasks. Social media management, writing, emailing, marketing and so much more are commonly performed by them. For non-specialized tasks the pay is usually around $20 – $30 per hour but it can be much higher for specialized tasks. If you would like to learn more about how to get started as a virtual assistant, be sure to grab some of these free resources that will help you. I hope that we have given you some ideas to earn money online with investment. Making money online is so great because of the low costs required to start a business. There is no overhead and no need to even hire people in the beginning. The ability to make money online without paying anything towards a huge business loan makes us prefer online businesses over ‘real’ businesses. Students can make money online with no investment required (which is good because I was so broke as a student!). You are limited only by your ability to work hard and your imagination! Do you have any good suggestions for ways to earn money online without an investment? Let us know below in the comments!